Fig4. Top: force-displacement curve obtained during cell wall puncture. 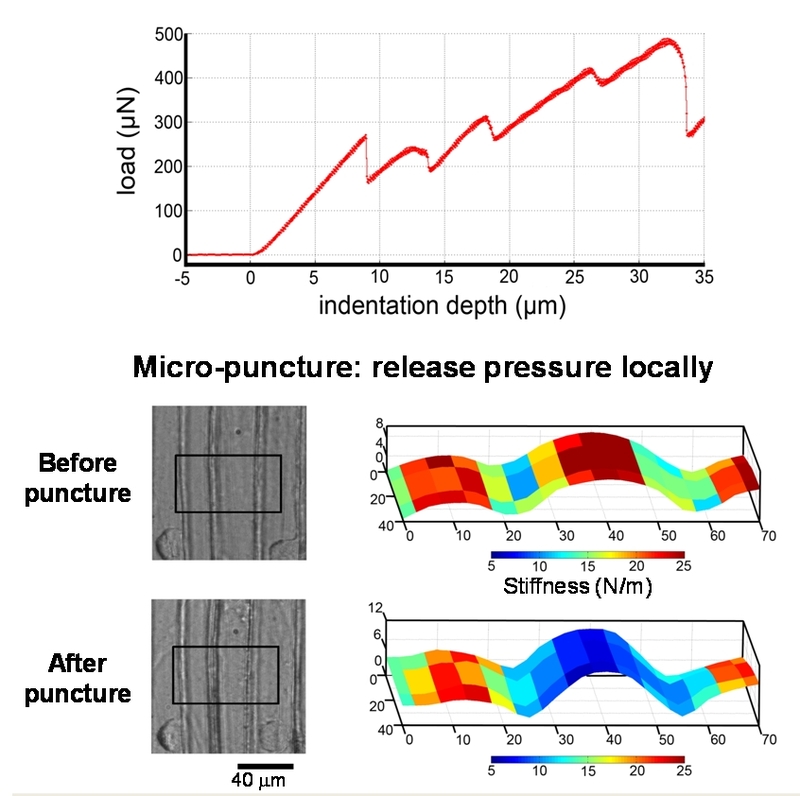 Bottom: Light microcsopy images and stiffness maps of a cell before and after puncture.